Having a basic checklist of what to do after someone dies is helpful. 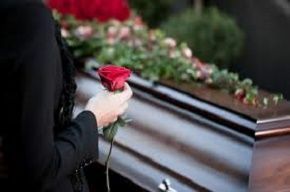 Find out how to register a death, deal with a coroner, and arrange a funeral. Obtain a medical certificate from the hospital or from a General Practitioner. You cannot register a death without a medical certificate. Make sure the death gets registered within five (5) days (eight days in Scotland). You will not get the documentation needed for a funeral until you register the death. Arrange the funeral for the deceased person. You can either arrange it yourself or you can use a funeral director. As a rule, there would be no urgency to deal with the death will, money, and property as a priority. But, you may need to report a death to several government organisations. Using the 'Tell Us Once' service makes this an easy process. The next step depends on whether the death got reported to a coroner. In Scotland, it would be the Procurator Fiscal. If so, you would need permission from the coroner to register the death. If not, you can use the register a death tool to check if you can carry out the registration yourself. The online facility also explains what to do after someone dies. A medical certificate is unavailable. A medical practitioner did not visit the deceased person during their final illness. The actual cause of death is unknown. The death was unnatural, violent, sudden or unexplained. The doctor who signed the medical certificate did not see the deceased person within a period of 14 days before death or after they died. The death occurred during a surgical operation or before the person recovered from the anaesthetic. The medical certificate suggests an industrial disease or industrial poisoning may have caused the death. The doctor will sign a medical certificate. You should take the medical certificate to the registrar. The coroner will issue a certificate to the registrar stating a post-mortem is not necessary. A coroner can decide to carry out a post-mortem to determine how the person died. A pathologist at a hospital or a mortuary will perform the autopsy. You have no right to object to a coroner carrying out a post-mortem. But, you can ask where and when it will take place. The coroner must give you (and the deceased person's GP) this information. You must wait for the coroner to release the body before you can hold a funeral. It will get released once all the post-mortem examinations have finished. As a rule, the body gets released with no inquest. In this case, the coroner would send a 'Pink Form - form 100B' to the registrar. It will state the cause of death. If it will be a cremation, the coroner also sends a 'Certificate of Coroner - form Cremation 6'. The deceased person could have died a violent or an unnatural death. The deceased person died while in prison or in police custody. You will be unable to register the death until the inquest has finished. The coroner will then send all the relevant paperwork to the registrar. In cases such as these, you can get an interim death certificate from the coroner that proves the person is dead. This is important because it lets you inform government organisations about the death. It also means you can apply for probate. Note: The coroner informs the registrar what to state in the register once the inquest is over. As a rule, the funeral cannot go ahead until the death gets registered. Even though you can arrange a funeral yourself, most people will use a funeral director. What if you prefer to arrange the funeral yourself? It would be best to contact the Cemeteries and Crematorium Department at your local council for further details. The fees for the funeral director. These are things that the funeral director will pay for on your behalf. They may include the fees for the crematorium or the cemetery. It might also include a newspaper announcement about the death. Local authority burial charges or cremation fees. Note: As a rule, a funeral director would list and itemise all these costs in their official quotation. A financial scheme the deceased person had would pay for it (e.g. an insurance policy or a pre-paid funeral plan. You, other relatives, or friends may cover the costs. Funds from the dead person's estate would meet the bill (e.g. personal savings). Applying for a 'grant of representation' (also called 'applying for probate') is the way to get legal access to the money. Note: People who are in financial difficulty may qualify to get a Funeral Expenses Payment from the DWP. You cannot move a body overseas for a funeral without permission from a coroner. You need to apply at least four (4) days in advance to move a body abroad. Thus, you would need to find a coroner such as those listed on the 'Coroners' Society of England and Wales' website. Note: The process for moving a dead body abroad for a funeral differs in Scotland and in Northern Ireland. Tell Us Once Service: A simple way of reporting a death to most government organisations in one go. Benefits and Taxes: Check which government organisations you should notify if someone dies. If a Child or Baby Dies: You may need to report the death of a child or baby to other organisations. Death Abroad: A list of things you should do if a United Kingdom citizen dies in a country overseas.